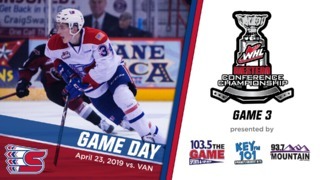 SPOKANE, Wash. – The Spokane Chiefs will choose their future stars on Thursday morning in Calgary as all 22 Western Hockey League teams take part in the 2016 WHL Bantam Draft, beginning at 8 a.m. PDT. Spokane holds the eighth overall pick in the draft, which will mark just the 13th top-10 pick in franchise history. Fans can watch the first round of the draft live online at www.whl.ca beginning at 7:30 a.m. PDT. 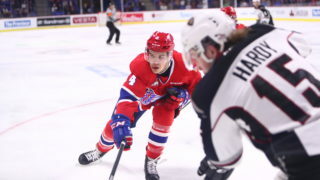 Live results of the entire draft will be available via the WHL Mobile App and online at www.whl.ca/prospects. 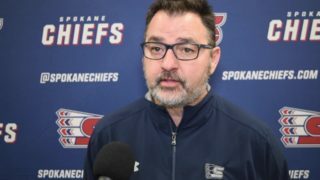 “As with every draft, we have a plan going in to take the best players available at the time of our picks,” said Chris Moulton, the Chiefs’ Director of Player Personnel. “We also understand that filling certain positions may become a priority. 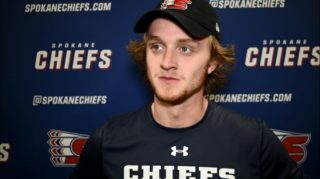 A year removed from taking five of the first 53 players off the board in the 2015 draft, including defenseman Ty Smith with the first-overall selection, the Chiefs currently hold four of the first 41 picks in this year’s selection event. 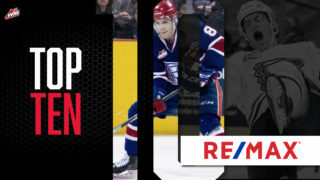 Last year’s draft class was highlighted by Smith, who became the second first-overall selection in franchise history, and forward Koby Morrisseau, who was chosen ninth overall to become the 12th player (including Smith) ever picked by Spokane in the top 10. 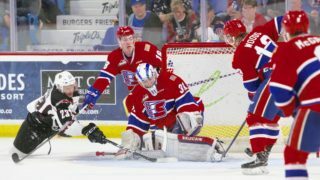 Overall, Spokane chose 13 players; seven forwards, four defensemen and two goaltenders. The draft will be preceded on Wednesday by the 2016 WHL Awards Luncheon, recognizing the top players and staff from the 2015-16 regular season. *The WHL Bantam Draft continues indefinitely until all 22 member clubs choose to “pass” on their available selection. Players eligible for the 2016 WHL Bantam Draft include 2001-born players who reside in the following provinces or states: Alberta, British Columbia, Manitoba, Saskatchewan, Northwest Territories, Yukon, Alaska, Arizona, California, Hawaii, Idaho, Kansas, Minnesota, Montana, Nebraska, Nevada, New Mexico, North Dakota, Oklahoma, Oregon, South Dakota, Texas, Utah, Washington, and Wyoming.